Imprimer Pour a small amount into hand or washcloth and apply to hair and body, working into a lather. Rinse carefully and gently dry. 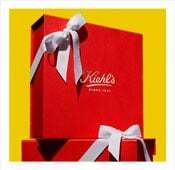 Follow with Kiehl’s Nurturing Oil For Mom & Baby. Avoid the eye area. If contact with eyes occurs, rinse immediately with water.